The Sisyphean quest to achieve sustainable competitive advantage and to win is at the core of every business’s strategy. 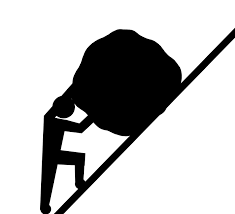 The quest is Sisyphean because the unceasing adaptability of competitors, the ever-changing market environment, and the constant waves of disruptive innovation always seek to return your stone to the bottom of the mountain. Having worked with leaders in many different industries, from digital gaming to building materials, from pure service providers to manufacturers, it has become clear to me that the approach to strategy must vary according to the particular challenges faced. The struggle becomes much more difficult if one builds one’s strategic plan on shifting sands. For example, in more traditional industries like the oil or building materials industries, classic strategic planning over longer time horizons matching the businesses’ unique capabilities to perceived / foreseeable challenges can yield excellent results. However, in more fast-paced market environments, this classic approach can lead to failure due to the rapidity of change and potential gravity of disruption. This problem is outlined in Martin Reeves’s excellent HBR article “Your strategy needs a strategy.” In my strategy interventions I have seen that it is vital for leaders to match their strategic approach (Reeves’s calls it “Strategic Style”) to their competitive environments and their business’s place along the business journey (see Value Partnership’s research on ‘Navigating your business journey’). Strategy is about choice. There are almost always too many good ideas to pursue, having the courage and conviction to choose the few that you feel will lead to success in the competitive environment is one of the major challenges facing a leader and her leadership team. The most frequent problem I find when working with leadership teams on strategy is that they choose too many strategic areas of focus. The law of diminishing returns means that they often achieve none of them. Dropping some opportunities in order to succeed on more important ones can be painful, it can cause strife within leadership teams, and consequently, it requires conviction to do. Strategy gives the direction to the leadership team and the business. Once decided upon and explicit, it should withstand the inevitable challenges which will arise. As Mike Tyson said; “Everybody has a plan ‘till they get punched in the mouth.” What is certain is that every strategic plan will receive a punch in the mouth at some point (remember Sisyphus?) and the leadership team’s resilience in rolling with these punches and sticking to a robust and relevant strategy with conviction, allows the business to maintain its course. Yes, the plan needs to be assessed in light of significant market changes, and occasionally, a pivot is required but, in my experience, this is rare if the business has chosen the appropriate strategic approach and is moving forward based on robust analysis. Strategy and the communication of that strategy gives alignment to the business. It is around the strategic plan that leaders align their people to deliver. If the strategic plan is poorly communicated, then it’s easy for the people in the business to be misaligned, to be working at cross purposes, and to be wasting precious effort and resource. I often see this issue with leadership teams. Helping the team get crystal clear about its strategic direction and how that direction will be made clear to the business accelerates implementation and performance and helps build trust within the team. In my work and more broadly within Value Partnership, we have seen that strategy is the cornerstone of direction and alignment. Choosing the right strategic approach for your particular circumstance, making the tough choices having done the hard work of analysis and understanding, and leading your teams with conviction will sustain you in the tough times when external (and sadly sometimes internal) forces seek to push your stone back to the bottom of the mountain.